Perfect for tapas style dining, salads, sandwiches, or a quick meal, enjoy hot or cold. Succulent roasted free-range chicken. Perfect for sandwiches, wraps or a quick meal. Roasted and diced, perfect for salads and as a sandwich and wrap filler. 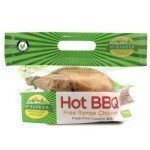 Succulent hot and spicy Peri Peri diced roasted chicken breast, enjoy hot or cold. Roasted chicken with a smoked chilli marinade, ideal for entertaining or a quick meal. Jarrah Forest Honey & Lemon stuffed Chicken seasoned with salt and cracked pepper. Lightly marinaded to retain its moisture, the ultimate healthy quick meal solution. Convenient shredded chicken made from premium chicken breast meat, easy use in soups, salads, sandwiches. We’ve done the hard work for you. Check out our easy ready to cook chicken.